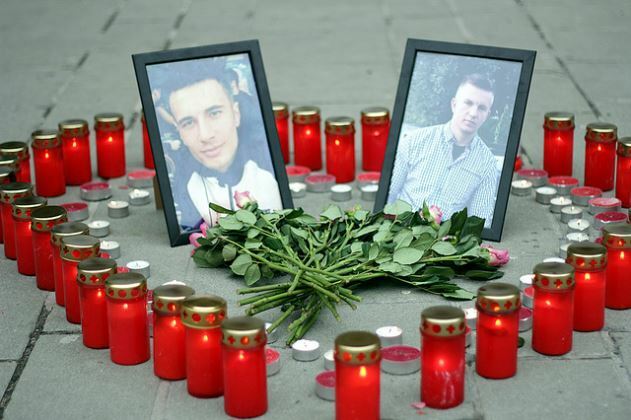 Justice for David and a future beyond nationalism in Bosnia? Protest movements Pravda za Davida and Pravda za Dženana may help change Bosnia’s dysfunctional system of governance. While they probably will not make the country’s system of corruption disappear anytime soon, they are likely to become a long-term threat to the country’s political establishment. “We have the potential to change something, to do something against nationalism”, Suzana Radanović, mother of young David Dragičević whose death at the hands of the police in March 2018 led to mass protests in Banja Luka and spread across Bosnia and Herzegovina, told me in an interview. 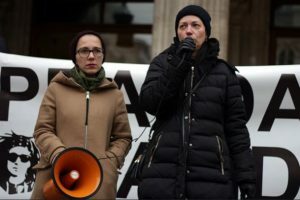 We spoke after a rally held by protest movements Pravda za Davida (Justice For David, PzD) and Pravda za Dženana (Justice For Dženan, PzDž) in Vienna a few days ago. This statement, and the fact that that protests have spilled over into the country that hosts the greatest Bosnian diaspora community outside the former Yugoslavia, point to how serious their struggle has become, how far reaching their impact could be – and why Bosnia’s Pravda movements are not likely to achieve the fundamental changes Bosnian society needs in the near future. Up to 40,000 people have participated in mass protests the Pravda movements organized in the capital city of Sarajevo and the town of Banja Luka. This is remarkable in a country with less than 4 million inhabitants. PzD’s Facebook group has 270.000 members, probably the biggest membership of a political group on social media in Bosnia. The Pravdas have also united Bosnians in both the country’s federal “entities”, bringing people of all religions and ethnic backgrounds together in protest against the government, authorities and the country’s endemic system of corruption. That makes them the biggest movement in the country since independence. Suzana Radanović, mother of late David Dragičević, speaks at the rally in Vienna. Photo credit: Chris Baumgarten. Yet, Suzana, co-initiator of PzD, does not believe that the protests themselves will suffice to change the country. It was Bosnia’s peculiarities and problems that made them so big in the first place. In most other countries, they would have remained fairly small citizen’s initiatives as almost everywhere else, at least in Europe, they would have remained apolitical in nature, albeit with a small political angle to them: Both Pravda movements are about unsolved murder cases. Both were started by the parents of the murdered youths, who have no prior political experience at all. David Dragičević’s corpse was found in March last year in a ditch in Banja Luka. At first, police claimed the mysterious death was self-inflicted and that David had been a drug addict and had probably died after committing a burglary. The parents did not believe this and denied their son had used drugs. They had a private autopsy performed, which revealed that David had in fact been strangled to death; in the meantime, critical evidence supposedly in possession of the police mysteriously disappeared. Dženan Memić died three years ago in what police first ruled to be a car accident in Sarajevo. Prosecutors even indicted a man they claimed had driven the car that killed the youth. An autopsy half a year ago determined that the youth had been hit and killed by a blunt object, not a car. Both youths were 21 years old when they were killed. In both cases, police have identified no suspects. The parents do not believe that the obvious mistakes police made during the investigations are due solely to incompetence, and they accuse police and prosecutors of covering up the murders in order to protect the perpetrators. According to them, there have been dozens of similar cases all over Bosnia over the past years. Crime suspects are known to have gotten off the hook through bribery. For many who support the protests, this is the latest and perhaps the most alarming sign of how their country fails them. The immediate demand of the Pravda movements is that the murders be solved and those responsible for botching the investigations and covering up be held accountable as well – including politicians responsible for overseeing police work. That this happens on such a scale is a telltale sign how deeply many Bosnians, perhaps even the majority, mistrust local authorities and governments. This has alarmed politicians in both of Bosnia’s autonomous entities, Muslim-Croat controlled Federacija and Serb-dominated Republika Srpska (RS). 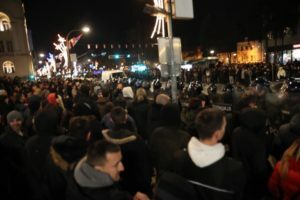 In RS, police under control of the governing party SNSD, have been cracking down hard on Pravda za Davida, making arrests that seem arbitrary at best, acting violently when dispersing peaceful PzD protesters, and at times banning all protests in Banja Luka, the administrative seat of RS and home to PzD’s initiators. Major media, all of whom have close links to SNSD, have blacked out the protests from their start nine months ago, and whenever that was not possible, have served as a willing platform for a smear campaign instigated by SNDS’s leading figures. To date, this has not deterred PzD supporters from staging daily rallies that draw at least dozens of people. So far the crackdown seems to have been mainly unsuccessful. This contrasts sharply with the movement of 2014, when with few exceptions, police and Bosnia’s ruling class just waited for protests to peter out, as they did eventually. The Pravdas don’t seem as likely to go, but while they are larger than 2014’s movement, they are not as intense. It is the older generation that carries them, compared to the largely student- and worker-driven demonstrations and occupations of 2014. Also, many people who played active roles back then have since left the country, as have more than 100,000 other Bosnians. Another difference: 2014 happened only in Federacija. Pravda is taking place in both entities, which is unprecendented in recent Bosnian history. Yet, while they have little in common in terms of organization, the discontent that 2014 and the current protests express is the same. For most Pravda supporters the whole thing is about a lot more than “just” two unsolved murders. “If politics don’t change, I’m outta here”, a supporter of Pravda za Davida told me after a rally in Banja Luka in September. In this, she is not alone. Tens of thousands have voiced their anger and frustration over corruption, the inefficiency of authorities, failing public services and crippling nationalism, giving it one last try. Not that these problems are specific to Bosnia; corruption may even be worse elsewhere in the region. It’s just that the political situation makes struggle all the harder and discourages people from doing so. While officially the demands are solely about solving David’s and Dženan’s murder and holding everyone accountable in what is said to be cover-ups and reforms that would compel Bosnian authorities to protect their citizens – plus PzD’s demands for free media in Republika Srpska – inofficially the Pravda movements are calling for a fundamental overhaul of Bosnia’s system of governance and an end to the nationalist politics that have paralyzed the country for more than 20 years. The Dayton Agreement that ended the war in 1995 and became part of the country’s constitution enshrined a nationalist consensus that is partly responsible for reactionary and nationalist parties being in power for most of the past 20 or so years: SDA, the nationalist Bosniak or Muslim party in Federacija, HDZ, the Bosnian offspring of Croatia’s long-term clerico-nationalist ruling party of the same name, in most of the Croat regions of Bosnia, where open separatism is as commonplace as in Republika Srpska, and, a relative newcomer, SNSD in Republika Srpska. Given that pitting one nationality against another has helped these parties get away with practically everything, the Pravdas may well be the biggest challenge to their hold on power yet. That’s especially owed to the fact that both movements cooperate closely. The fathers of both victims have held several joint press conferences. Both movements have held joint rallies and have mobilized for one another. On Facebook, the cooperation is particularly close, with supporters of both managing the Facebook group. The admins are ordinary Bosnians, few have any political background. Cooperation is particularly close in the diaspora communities abroad. But it is highly unlikely that these movements bring about the greater change Bosnian society needs. There has not been any political movement, formal or informal, who has managed to use the momentum created by both. For one, both movements have been wary of accepting support from explicitly political parties or movements. For the other, there is no one around that could use this momentum to overhaul the Bosnian political system into a functioning democracy. In Bosnia, there is no political platform on a national level. Political parties run in their respective entities. The arbitrary division of the country has become deeply entrenched in the political system via electoral laws, and voicing any Bosnia-wide vision has become all but impossible. The same is true of trade unions: while they have a national umbrella organization, they have to organize along entity lines. This makes labor struggles all the harder, though the entity-wide federations of trade unions say the country would be a lot better off if political parties cooperated as often and as well as they do. The same goes for NGO’s. As typical for the region, most large NGO’s are dependent on public funding, either domestic or international. They restrict themselves to whatever issue it is they are committed to dealing with, usually a humanitarian one, and keep out of politics. Some are political, busy trying to fix or address the misery poverty and endemic corruption have created, through the sell-out to foreign investors, the failing educational system or the discrimination against Roma. None has enough spare capacity to help forge a protest movement into a political force. And then there are highly active local initiatives who even have experience in political campaigns – like the Sarajevo group Jedan grad, jedna borba (One City, One Struggle). The latter has made the untenable situation of Bosnia’s National Library a topic in the city and, together with the environmentalist group Eko Akcija, has cast a light on Sarajevo’s failing water supply. Currently, they are involved with two environmental struggles involving public space in the city, activist Svjetlana Nedimović told me. The group is run entirely by volunteers. Activists have to pay for posters and fliers out of their own pockets and are constantly in danger of collapsing from exhaustion, trying to balance their commitment with their day jobs. Even though the group sympathizes with both Pravda movements, there is no way they could provide any effective help beyond gestures of solidarity. Plus, the group just recently lost one highly active member to emigration. In a different political environment, the Pravdas could have perhaps become the movement to spark countrywide protests that by now would have forced at least several resignations in government and more than cosmetic changes in the country’s political system. It’s just, there is no one around to help them. Nevertheless, Pravda za Davida and Pravda za Dženana have helped forge a sense of togetherness in tens of thousands of Bosnians. The movements have taught that we’re in this together, no matter what part of the country we live in. We face the same plight. And more important still: protest is possible. This lesson is not to be neglected in a country where people aren’t used to taking to the streets. In the long run, this may form the basis that will turn future protests into potent political forces. But, barring miracles, not just yet. 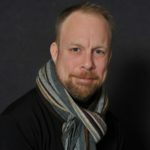 Chris Baumgarten is a Vienna-based journalist working in the union sector. For several years he has dedicated all his vacation time to traveling the countries of former Yugoslavia, mostly with a view to meeting activists and people negatively affected by politics in the region and giving a voice to people otherwise unheard. Based on these interviews and experiences he runs a personal blog Balkan Stories, currently the German-language Balkan blog with the highest reach. The blog’s explicit goal is to draw a more realistic and less cliché-laden picture of the Balkans.